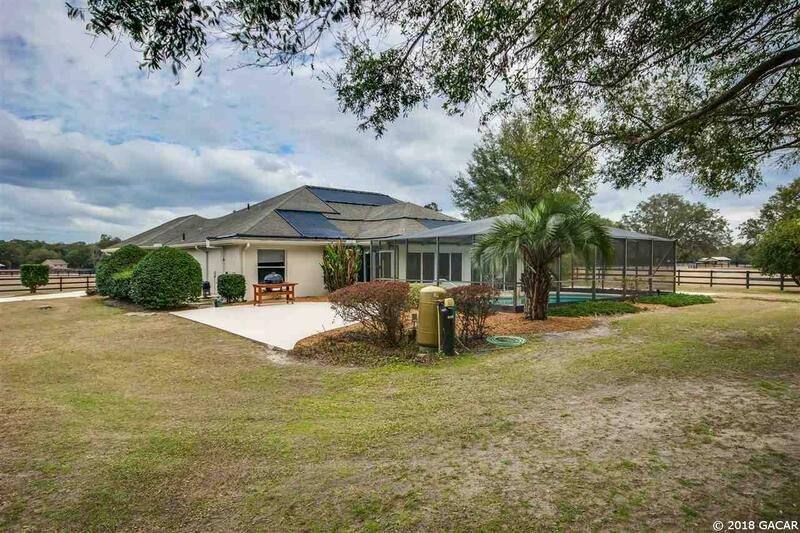 Paddocks of Millwood gated turnkey 10+ acre farm. Neat and clean, this 10 acre farm has many upgrades. 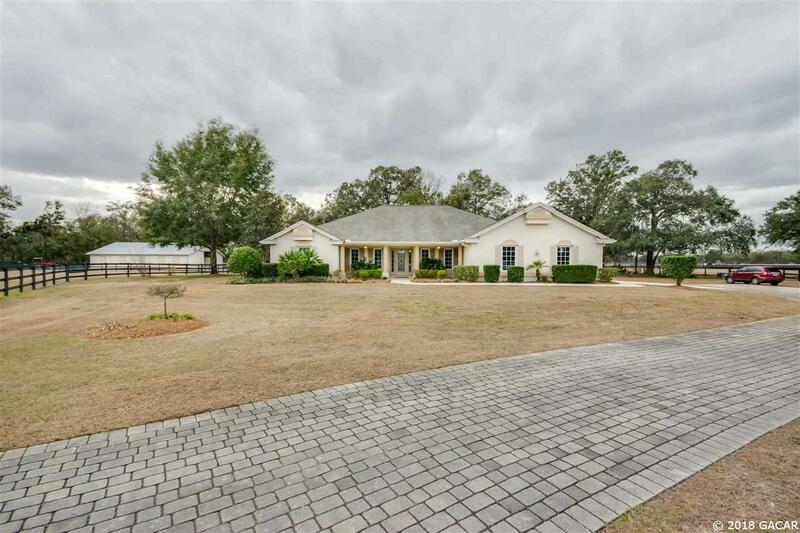 Located in a gated subdivision convenient to Ocala and Gainesville, the farm is gated with pavers up the driveway to the custom 4/3 with office, home loaded with upgrades. 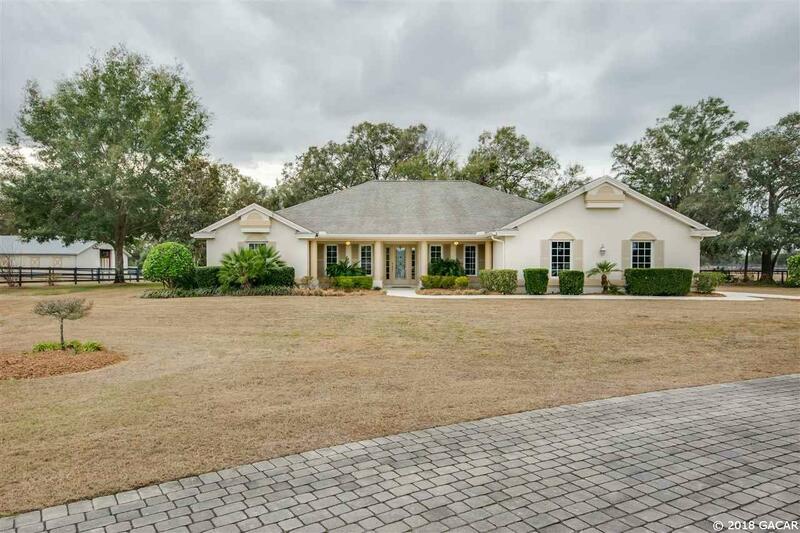 The home boasts, new birch wood floors, custom kitchen with granite, new appliances,enclosed lanai with AC, whole house generator, New AC, high ceilings, on demand hot water, and a screened solar heated pool! 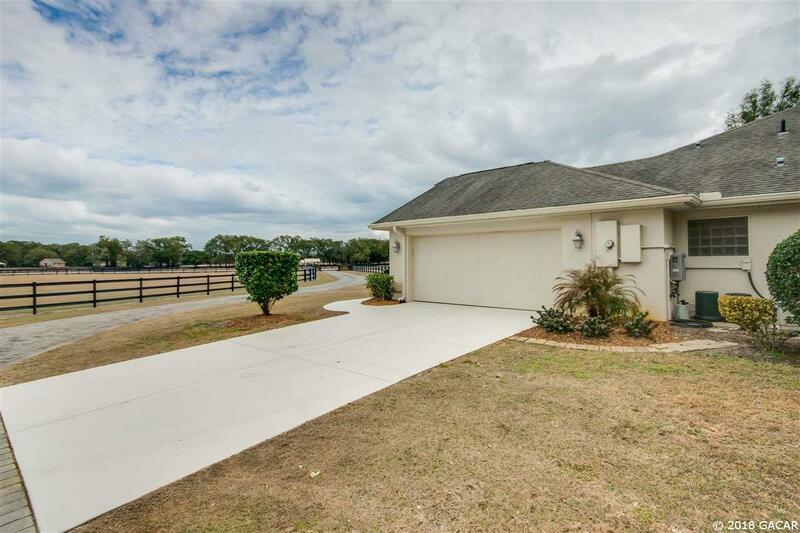 Farm is newly fenced with RAMM fencing, a 60x40 huge building, room for 5 stalls ( partitions stay with the farm, room for a bus in the building, AC in office / tack room, RV hookup, bring your horses and toys! This farm has been meticulously maintained.